AdministrationErrorsFrequently Asked QuestionsWhich Windows & SQL Server versions is CAREWare compatible with? » What is required to run CAREWare? [X] » What is required to run CAREWare? CAREWare Version 5 Builds 915 or newer. Starting with CAREWare build 915 .NET Framework 4.5.2 will be required to run CAREWare. To make sure the latest .NET Framework is installed, complete Windows Updates. To manually update to .NET Framework 4.5.2 instead of using Windows Update or for more information about .NET Framework click here. 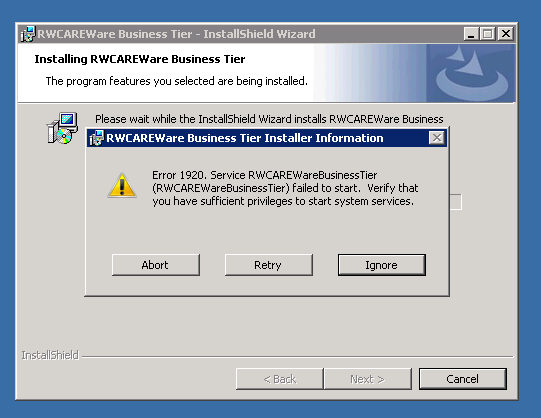 CAREWare Version 5 Builds 865 - 914. Starting with CAREWare build 865 .NET Framework 4.5.1 will be required to run CAREWare. .NET Framework 2.0 Service Pack 2, only for Windows Server 2003 and Windows XP. .NET Framework 2.0 SP2 is not available as a separate download on Windows Vista and Windows Server 2008 machines; on those you will need to install .NET Framework 3.5 SP1, which includes .NET Framework 2.0 SP2. Note: Download and install NetFx20SP2_x86.exe unless you are running a 64-bit machine. Note: Windows 7 machines by default have .NET Framework 3.5 SP1. .Net Framework 3.5 includes .Net Framework 2.0 rolled up into it. .Net framework 3.5 also ships with Windows Server 2008 R2 as an optional component (disabled by default). Note: Windows 8 and Windows Server 2012 will have .Net Framework 4.0 and 4.5 installed by default. CAREWare user will need to download and install .Net Framework 3.5 SP 1 in order to complete the installation of CAREWare. Click here to read more about CAREWare and Windows compatibility. User may receive the error 1920 when installing CAREWare because the .NET Framework is older than the required version for CAREWare. Here is an article from Microsoft on how to verify the current .NET Framework. If .NET framework 2.0 cannot be installed, it may be installed already and needs to be turned on. If this is occurring on a Windows 8 machine, follow the instructions here to resolve this issue.